Moving stresses us out. I imagine it stresses you out, too. First you have to find the perfect new neighborhood with sidewalks, a community pool and great schools. Once you manage to pull that off you focus on successfully packing and cleaning your old home while preparing to move into your new neighborhood. Unfortunately, that means we forget to look out for hidden fees we’ll have to pay in our new neighborhoods. These costs and fees come in many different shapes and sizes so we’ve compiled this list to give you a few to look out for. Moving into a new home means signing up for electricity, water, sewer, trash pick up, cable and other utilities. Some of these utilities will require you to put down a deposit in order to get service. Deposits could easily be over $100 per utility depending on where you live. Luckily, some companies will allow you to forgo putting down a deposit if you have good credit. Even if you do put down a deposit, you should be able to get it back when you disconnect your service or after a certain amount of on time payments. That won’t eliminate the up front drain to your bank account, though. If you thought utility deposits stunk, you could be in for a bigger surprise with utility hook up fees. Depending on the service, you could easily pay hundreds of dollars in hook up or installation fees upon moving into a new home and setting up your utilities. Unlike deposits, you don’t have a chance in getting these returned in the future. When we recently moved from one part of our county to another, we never thought to consider that localities can add utility taxes and fees onto your bill, but they can! Our city adds two taxes to our electric bill every month that easily increase our bill by 15% over living in the unincorporated part of the county. While HOA dues shouldn’t be a shock, many people forget about them when moving into their new neighborhood. When the first invoice hits your mailbox, you will realize you forgot to set aside money to pay them in your monthly budget. Be proactive and set a reminder about these fees at least a month in advance so you aren’t shocked when the invoice comes. In addition to HOA dues, many people must pay some form of HOA fee when they move into the neighborhood. Some neighborhoods have purchase fees you must pay the association. Others may charge for small things like a pool key if the previous owner didn’t leave one for you. Regardless, try to find out what these fees are in advance to properly budget for them. We personally shop at the stores closest to our home. Due to localities charging different sales tax rates, in addition to state sales tax rates, the amount you pay may increase. In addition, some localities may have weird sales taxes like take out food taxes that can be as high as 5%. Researching your new neighborhood ahead of time can prepare you for these costs. If you’re moving to a neighborhood in a different state you definitely need to consider state income taxes. Unless we move to a income tax free state, our income taxes would increase since Florida doesn’t have an income tax. Similarly, if you live in a low rate income tax state and move to a higher rate income tax state you could be surprised when you get your first paycheck or file your first state income tax return. Landscaping costs often shock people living in a new area. Keeping your yard up to your neighborhood standards may require you to spend more money on lawn treatments and irrigation than you used to spend. If you are used to using well water for watering your lawn, being forced to use city water to water your lawn could greatly increase your water bill. These hidden costs can sink your budget when you move into a new area or neighborhood. Do your best to research every little expense you may incur and budget accordingly so your wallet doesn’t take a massive hit when you move into your new home. Don’t just stop at the above list. I’m sure there are some areas that have even more crazy hidden costs. 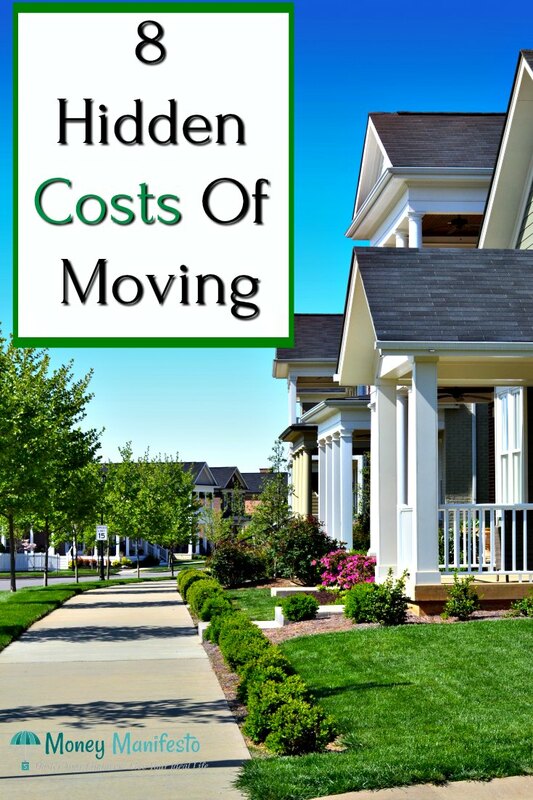 What hidden fees and costs have you incurred when moving into a new neighborhood? Let us know what to look out for by posting a comment below!